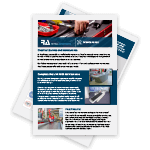 At Retail Associates we offer clients planned preventative maintenance plans as a proactive way of keeping your checkout fleet in efficient and effective working order. This has the major benefit of identifying and fixing any technical or aesthetic shortfalls before they become a problem, thus minimising business disruption. Our central stores carry comprehensive stocks of spare parts and accessories for all major manufacturers’ models. Our service covers all aspects of your checkout operation including peripherals such as operatives’ chairs, customer guidance, chip and pin solutions, as well as other associated security products. Planned maintenance can be carried out at a time which is most convenient to your business operations, for example overnight, to reduce any risk of downtime.